The goal for Stage 10 was to start at my last stopping point, MONA in the middle of Berriedale on the western shore of the Derwent River, and continue to Lutana the last suburb of the City of Glenorchy before the City of Hobart starts. But I went further. Much further. Almost much further than my feet could take me. 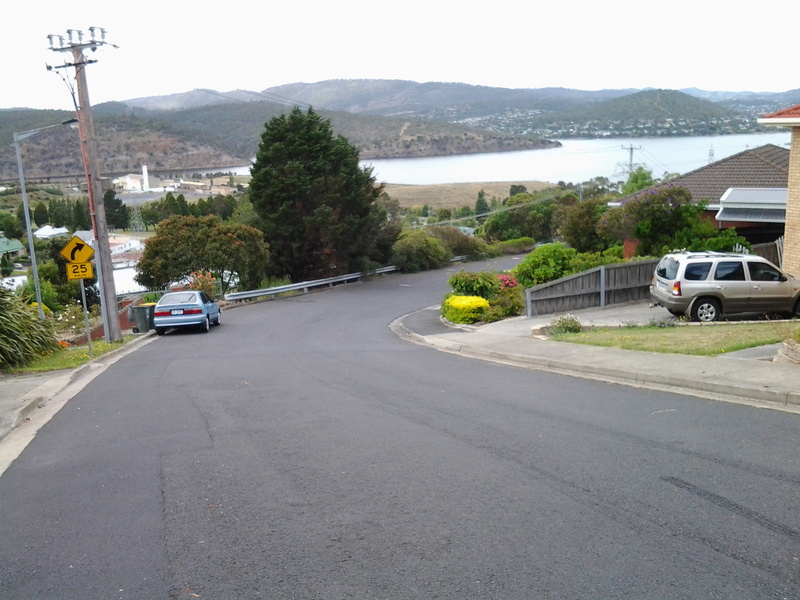 I walked to Hobart. The day was gloomy with a cloudy sky, and Mount Wellington had veils of clouds covering at least part of its prominence most of the day. But it didn’t rain and so was perfect for walking. However, the weather ensured the photographs were without sunshine. Yesterday I covered 12 kilometres of the length of the Derwent River on the western shore (making 22 kms in total on the western shore), and walked approximately 19 kilometres (making a total of 130 kms to date) to achieve that distance. This distance also takes in the streets and paths on which I walked that led to dead ends so that I needed to retrace my footsteps. Of the many highlights of the walk, I saw the building that once started life as Rosetta Cottage, and powerful Clydesdale horses with their large hairy feet. I surprised a friend still in pyjamas when I went visiting for the first time in my walks. The hot cups of tea were most welcome. 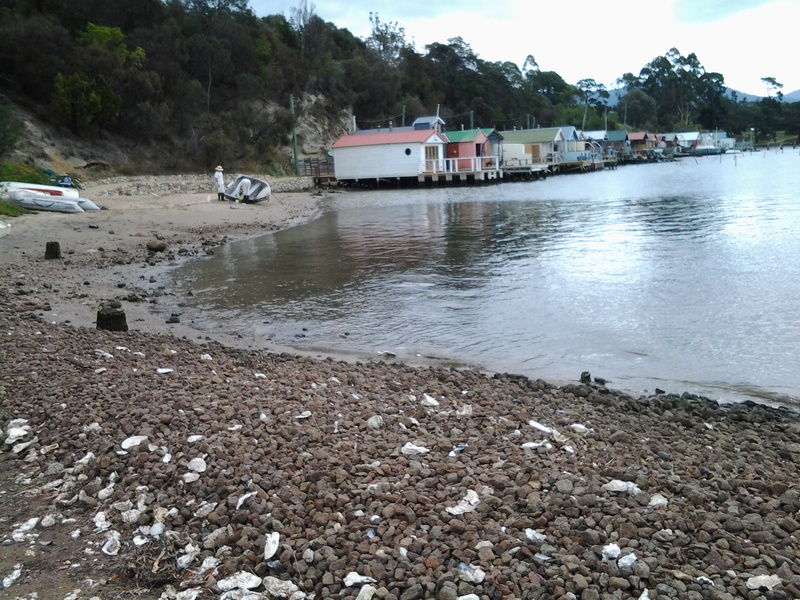 I am always excited when I walk the striped edged boardwalks of GASP (Glenorchy Arts and Sculpture Park) or pass the boatsheds of Cornelian Bay and it was no different yesterday. See the photos below for a taste of the colour. I very much enjoyed looking at the eastern shore where I had walked during past stages and seeing the landscape from a different perspective. 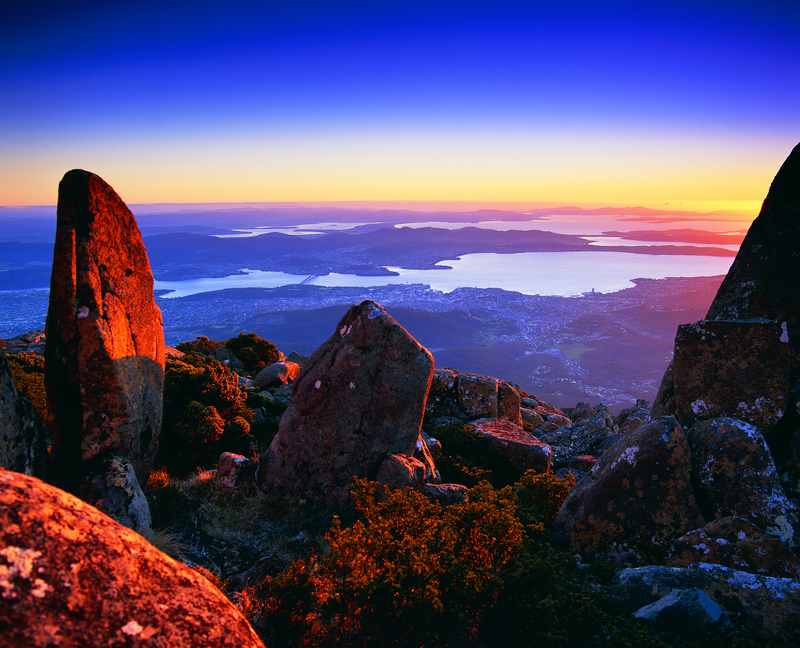 I felt it made the Greater Hobart Area seem undeveloped in a way which is quite amazing for a capital city. For example, Bedlam Walls on the eastern shore from the western shore of the Derwent River, in the photo below. From comments I have received, I know my walks are inspiring others to think about what they might do. Even if you choose not to walk, perhaps you can set yourself other challenges. 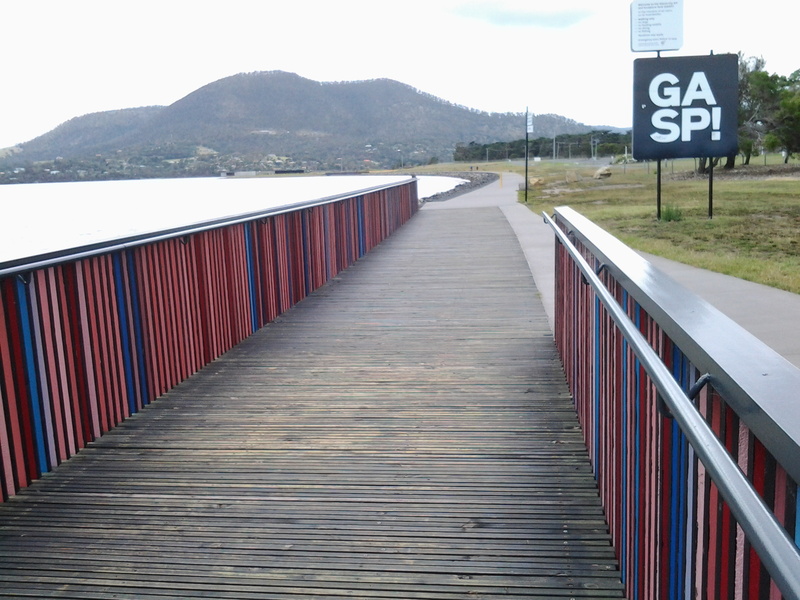 My next walk will start at Hunter St at Sullivans Cove on the wharf in Hobart and probably extend to Kingston. But before then I need to record the details of yesterday’s walk. 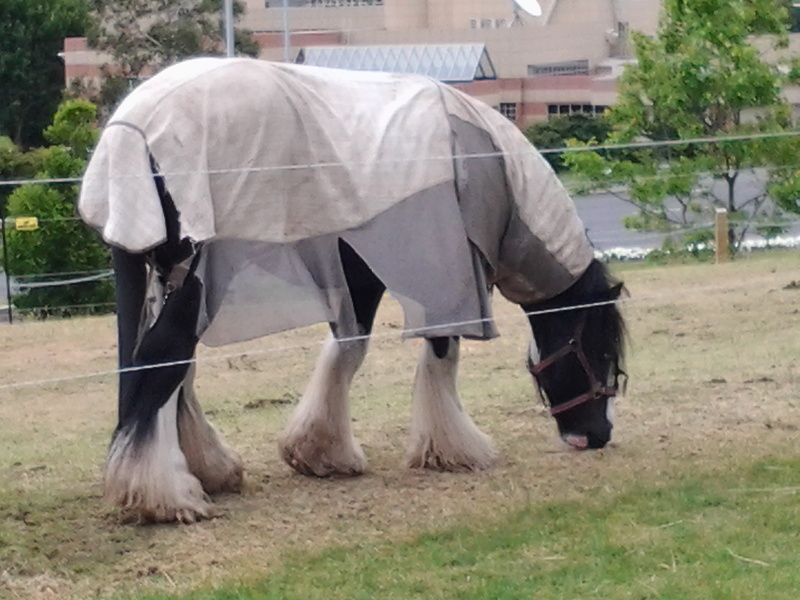 This entry was posted in Derwent River, Hobart, Mount Wellington, Tasmania, Walking and tagged Bedlam Walls, Berriedale, Bridgewater, City of Glenorchy, City of Hobart, Clydesdale horses, Cornelian Bay, GASP, Glenorchy Arts and Sculpture Park, Greater Hobart Area, Hobart, Hunter St, Kingston, Lake St Clair, Lutana, MONA, Rosetta Cottage, Sullivan's Cove, walking on January 10, 2015 by Tasmanian traveller.